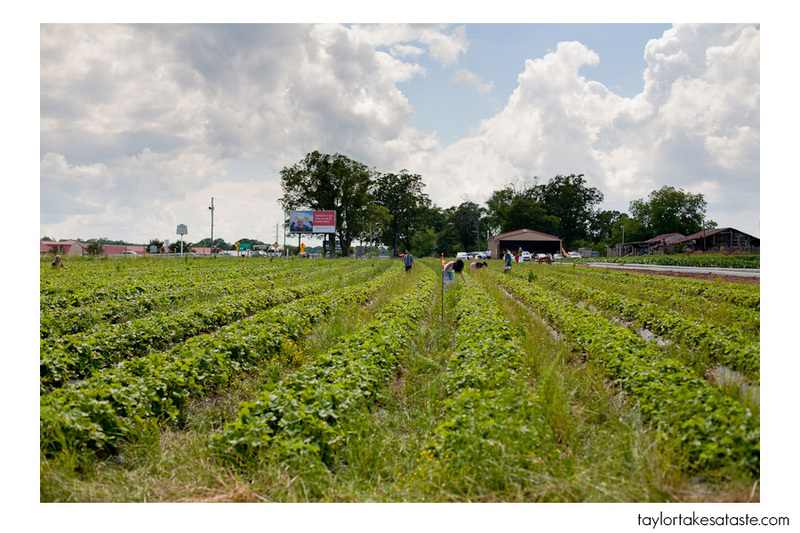 You are here: Home / Travel / National Strawberry Picking Day! 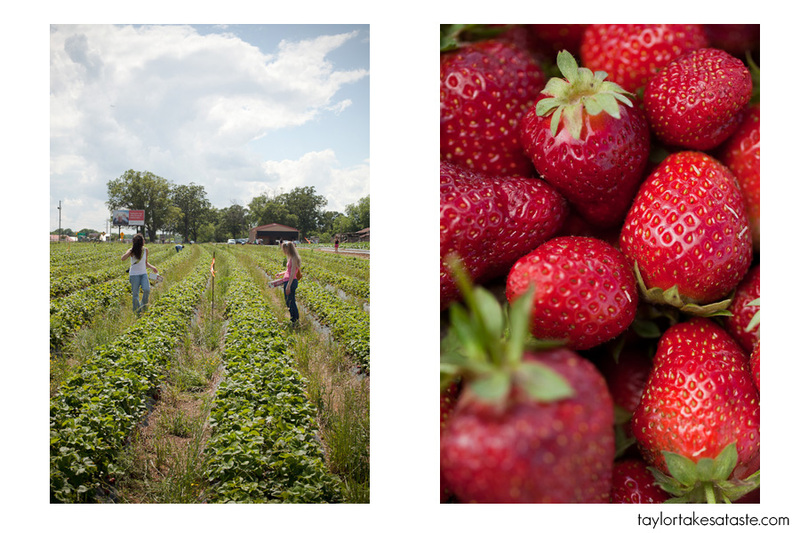 Happy National Strawberry Picking Day! When I came up with this project back in January, I have been counting down the days to these holiday! 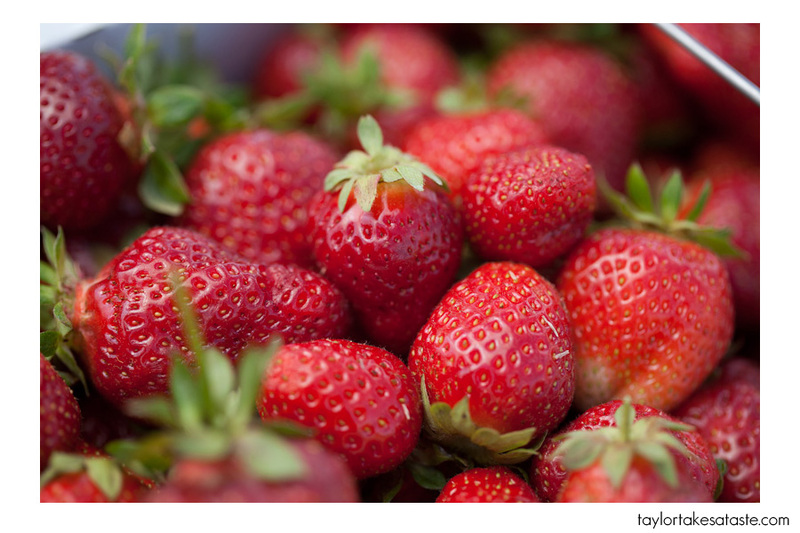 The only way to celebrate this special occasion is to, well PICK STRAWBERRIES! Last weekend that is exactly what I did! (Yes I realize I celebrated a week a head, but in NC the Strawberries had already peaked and there is no way I could post about picking strawberries and pick in the same day, so last weekend worked out perfectly) It was a gorgeous day for picking! Fortunately, I didn’t pick alone. 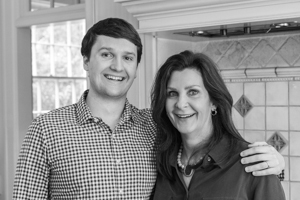 I called upon the help of Charlotte Food Bloggers (CFB). I have referred to CFB in the past. They are a group of incredibly talented and pretty awesome bloggers in Charlotte, NC, who blog about food! Myself and 6 others went out to Miller’s Farm in Fort Mill, SC. The farm is right on the border of NC and SC. Half of it is in NC and the other half is in SC so it was fun to say you picked strawberries in both states ! Any way… Here is a video I made of our picking experience. I am still learning more about Final Cut and really seeing what the software can do, so this video is very stylized. I was playing around with different filters. Just think 1920’s silent movie. That is the look I was going for. 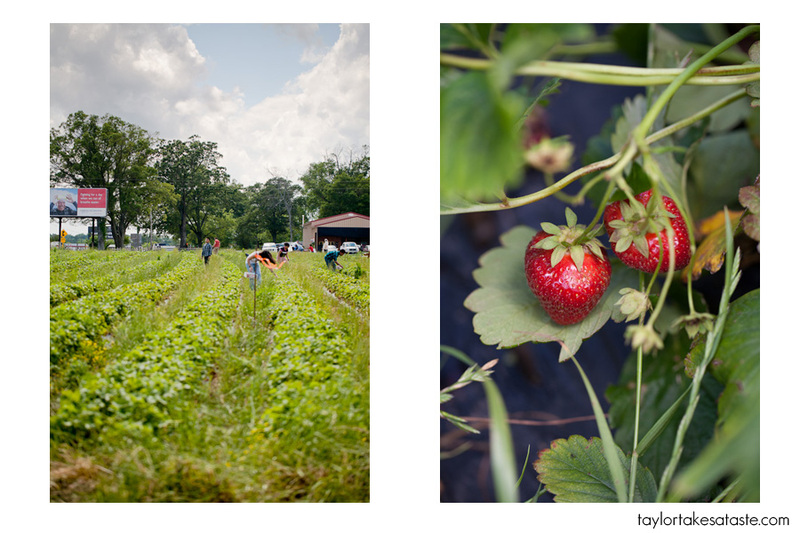 Strawberry Picking from Taylor Mathis on Vimeo. As you can see there really isn’t that much to Strawberry Picking. You buy a container and, just pick as many berries as you want! 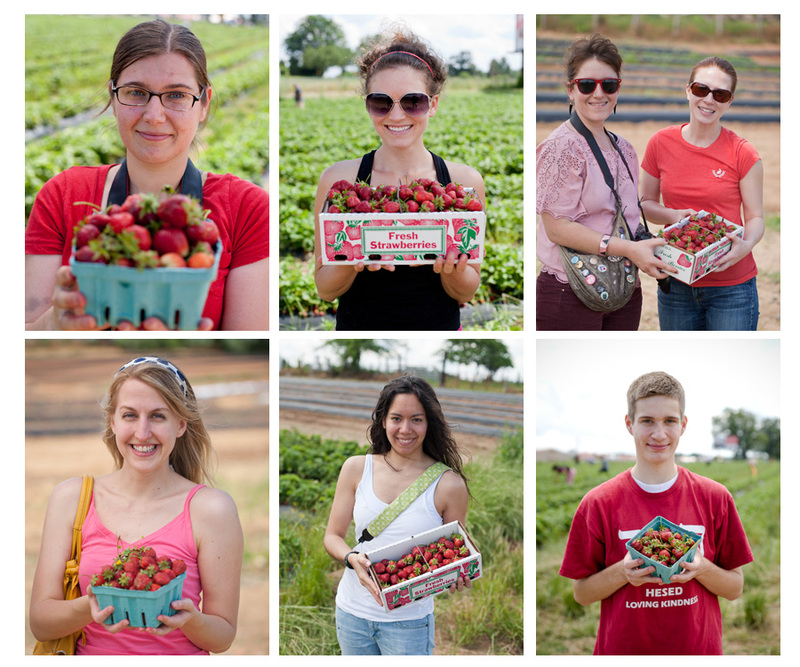 Depending on how fast you pick, you will eventually end up with a basket full of Strawberries! Here is our groups haul. That’s a lot of Strawberries! I did pick some, but quickly realized that I enjoy taking video and pictures of people picking much more that I enjoy picking myself. 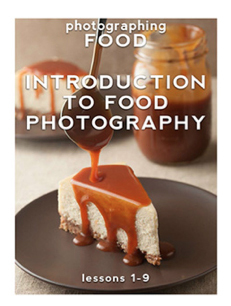 Charlotte Food Bloggers have their second meeting this Sunday, so I am pretty excited to hear about what people did with their strawberries! Here is what happened to mine. – 3/4 cup fresh lemon juice (6 lemons or so). 1. squeeze the lemons to get 3/4 cups lemon juice. 2. In a food processor puree the strawberries into a paste. Run the strawberry puree through a fine mesh strainer to remove any large chunks of strawberries that may be left. 3. In a pot, heat 1 cup sugar with 1 cup water until the sugar is completely dissolved. Let cool. Combine with lemon juice, strawberry puree, and 3 cups water. Stir and put in your favorite container. You can drink immediately over ice or let chill in the refrigerator. Enjoy! What a fun day! Can’t wait to go back and check out more of their produce!! 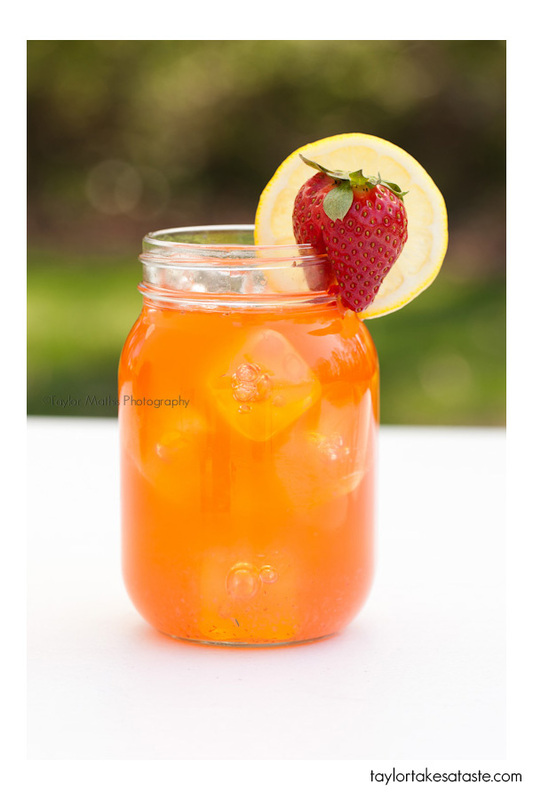 Your lemonade looks yummy! I’m so jealous that you can do the video thing. Hope to learn someday. What a great post, and wonderful pictures too. I love what you did with your pick. That lemonade looks refreshing good! loved the video and music…..